The metal you choose to have your ring made of has to come from the heart – it’s all about your personal style and choice, your skin tone and how you want your ring to look. While yellow gold will always look beautiful and timeless, white gold and platinum are increasingly popular choices. There’s always some confusion around the difference between white gold and platinum. But white gold and platinum have different qualities, wear differently and also take on a different sheen as they age. There is no such thing as pure white gold. To achieve the ‘white’ in white gold, yellow gold must be mixed or alloyed with white metal like palladium. It is also coated in rhodium to give it a whiter, shinier finish. While the rhodium finish does require some maintenance – rings often need re-dipping every couple of years or so as the rhodium wears off and the natural metal colour starts to shine through. 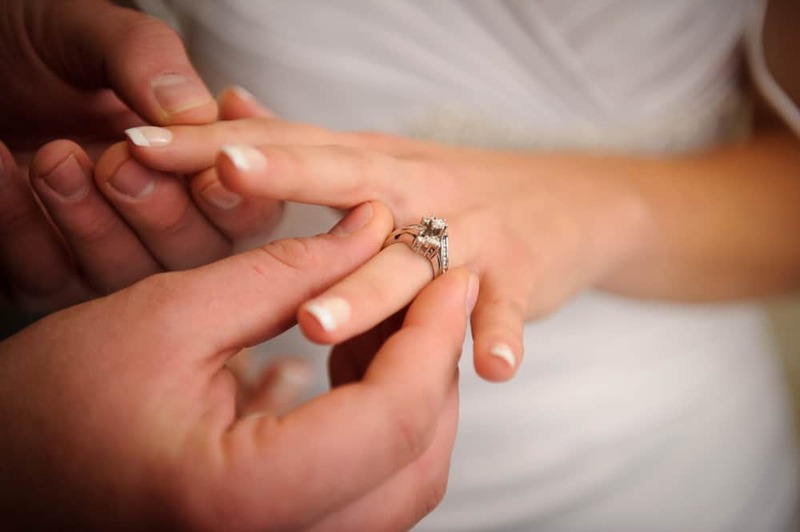 This is a simple, relatively inexpensive process that has the advantage of ensuring your ring is being regularly checked by an expert jeweller and is included as part of the Whitakers’ Lifetime Care Plan. In contrast, platinum has a natural greyish colour. As it wears it becomes dull – after a time it takes on a grey tone as opposed to white gold, which has a more silvery look that maintains its shine. When it comes to cost, white gold is the less expensive option. Platinum is rarer and denser than gold, meaning it weighs significantly more for the same setting. This makes white gold a more affordable option for virtually the same look. White gold is generally available in 14K or 18K. Fourteen karat is 58.3 per cent pure gold, 18 karat is 75 per cent pure gold, while 24 karat is 100 per cent gold and too soft for use in jewellery and must be mixed with other metals to strengthen it. In terms of durability, platinum is the strongest precious metal, but it is quite heavy on the hand. It’s important you visit your jeweller to try rings on to get a feel for what you are comfortable wearing before making your decision. Our experts at Whitakers will be able to discuss all the pros and cons of the different choices with you to help make your decision a little easier.